Fighting cravings during pregnancy can make it difficult to choose healthy foods over sugar laced alternatives. In the middle of the fall or winter, it is simple to cater to that sweet tooth with a bit of summer fruit delight. Place all of the ingredients in a bowl and toss well to coat fruit with strawberry jam. The pink grapefruit and oranges should keep the banana and pear from turning colors. Variations: Feel free to use canned fruits in place of fresh as needed. Add more fruits or a different selection as desired. 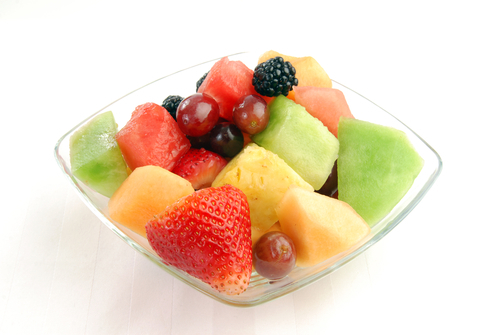 This fruit salad can keep refrigerated for up to three days.